The volume of hardwood in southern Swedish forests has risen by nearly 3 million m³ per year since 1993. This means there are about 120 million more hardwoods in Götaland now than 25 years ago. * At the same time, forest regeneration stands now contain both more hardwood and more pine than ever before. This will result in a more varied forest structure. With the introduction of production forestry in the 1940s, the proportion of spruce increased, and by the mid-1990s, more than every second tree in Götaland was a spruce. 25 years later, the proportion of spruce in southern Swedish forests has fallen in relation to hardwood, while the proportion of pine has remained virtually unchanged. The most recent National Forest Inventory shows that spruce has fallen from 53 to about 48 percent of the growing stock, while the proportion of hardwood has risen from about 18 to 23 percent. This trend means that we now have about 120 million more hardwoods in southern Swedish forests compared with 1993. However, this does not mean that the amount of pine wood has fallen, because the growth rate of pine forests has gradually increased. “The shift towards more hardwood in the forests owned by Södra’s members is a combination of systematic nature conservation interventions and a management strategy, whereby spruce is not allowed to grow too old because of the major financial risk it poses,” said Göran Örlander, forestry strategist at Södra. Another national inventory, the Swedish Forest Agency’s reforestation assessment, shows that a higher percentage of the dominant species in the regeneration stands consists of hardwood, but also pine. “The hardwoods have regenerated almost 100 percent naturally and in the most recent inventory, they accounted for about 25 percent of the dominant tree species compared with 18 percent in 2000. The reason for this increase has not been studied in any detail, but it’s probably due to a more positive view of hardwood trees among forest owners,” said Göran Örlander. “Following a period with a lower proportion of pine in regeneration stands, partly due to high browsing pressure from wildlife, the percentage of pine seedlings in Götaland has increased over the past six-seven years. The conscious strategy of forest companies to significantly increase the proportion of planted pine – and to promote pine in general – is playing a key role in this positive trend. 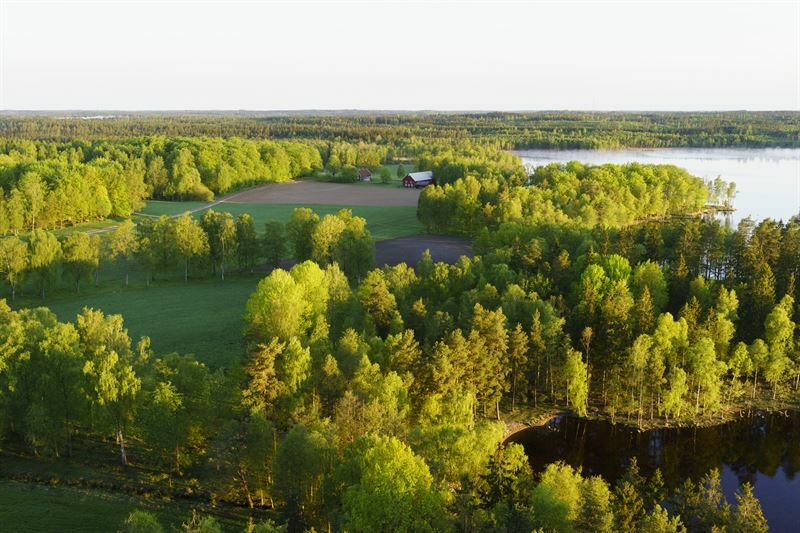 If we continue to manage our new forests responsibly and find a healthy wildlife balance, we can also look forward to a rich variation of tree species in southern Swedish forests in the future,” said Göran Örlander. *The calculation is based on the National Forest Inventory’s data on the development of hardwood volumes, and on a 20-metre high birch with a diameter at breast height of 30 cm and a volume of 0.5 m³fo. The hardwoods have regenerated almost 100 percent naturally and in the most recent inventory, they accounted for about 25 percent of the dominant tree species compared with 18 percent in 2000. The reason for this increase has not been studied in any detail, but it’s probably due to a more positive view of hardwood trees among forest owners. Göran Örlander, forestry strategist at Södra.